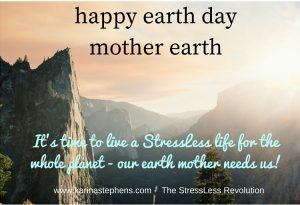 It is earth day today in case you didn’t know and today we get to celebrate this beautiful planet we call, HOME, Yeah!! You know for years I did not respect mother earth. I did such horrible things like pour toxins and chemicals down my drains, not to mention pouring them all over myself first. We now see the effects of our actions in the waterways and forests and the devastation of animal and plant life. In the film, ‘Unity’, by director, Shaun Monson, it explores humanity’s hopeful transformation from living by killing into living by loving. It is a unique film about compassion for all beings, all expressions of life going beyond all separation based on form and beyond perceiving opposites. If you haven’t seen it yet do yourself a favour, and maybe you will be forever changed like I was. “We all want the same things: to love and be loved, to matter, to feel worthy, and to be the best we can be, yet we let our thoughts get in the way of experiencing all of this. We rush around trying to prove ourselves, and all we gain in the process is to feel like we are still not good enough. We race after this goal and that goal, all the time forgetting that the ultimate goal is to know peace, joy, and love. We live unconscious lives, moving with whatever pace society dictates, but life has a different pace, and it’s here where you step off the treadmill and onto a road that will lead you towards more happiness than you can imagine. This road is not governed by dictatorship; it is not fuelled with unkindness and fear. This road is your road; you decide where it leads, you dictate the outcome, and you determine the elements it is made up of. You get to decide how fast or how slow you go based on divine guidance. This road can be made up of untruths and fears, it can be ruled by the ego, and based on the premise that this is the way it’s always been done. Or it can be the road less travelled, the one where truth lights your way, where there is only love, and where choices made from grace and mercy result in a kinder world for all species. So today, what could you do to move towards a StressLess life? How could this affect our earth in return? Maybe join in the thousands who are planting trees, switch brands of one of your cleaning products to one that has no chemicals and is kinder to the environment. Go hug a tree and give thanks to nature, meditate in the park and send out love to the plants, releasing your inner hippie. Whatever you decide to do, do it with the intention of spreading luuuuvv on this beautiful planet, thanking it for all the beauty and goodness it provides.